Available for QUICK DELIVERY. What a tremendous value! Set on a large premium level lot in the highly regarded Ridings at Uwchlan community, this home is sure to please the most discerning buyer. Very well maintained and finely appointed throughout, there is nothing to do but move in and enjoy! The popular floor plan works perfectly for easy every day living as well as entertaining. You are greeted with a covered front porch and welcomed into the two story foyer. The living room has a vaulted ceiling and the dining room has a bay window,crown molding & chair rail. French doors open to the study which is nicely located for a quiet space to work. The kitchen features a center island w/seating, granite counters, stainless steel appliances, gas cooking, oodles of cabinetry and workspace and a breakfast room with deck access. The spacious & sunny two story family room has beautiful windows affording views of the rear yard, a marble fireplace and a rear staircase. The second floor features the owner suite complete with luxurious tile bath with double vanity, soaking tub, walk in closets. The three additional bedrooms are generously sized and the hall bath with double vanity and tile complete the second floor. The professionally finished lower level features flexible use for a game room, media room, second family room, etc. and has wainscoting and storage space. The laundry room has 18 x18 ceramic tile flooring and includes high efficiency washer & dryer. Enjoy the outdoors on the expansive maintenance free deck and paver patio overlooking the level yard that is perfect for a ball game, gardening, having a BBQ This home has been very well maintained, has fresh paint, new carpet, new gleaming hardwood flooring, new garage doors, upgraded lighting, new A/C, upgraded plumbing fixtures, home protection plan, HVAC maintenance plan, paver entrance walkway, professional landscaping. This sidewalk friendly neighborhood is steps away from the park with a playground & basketball courts. 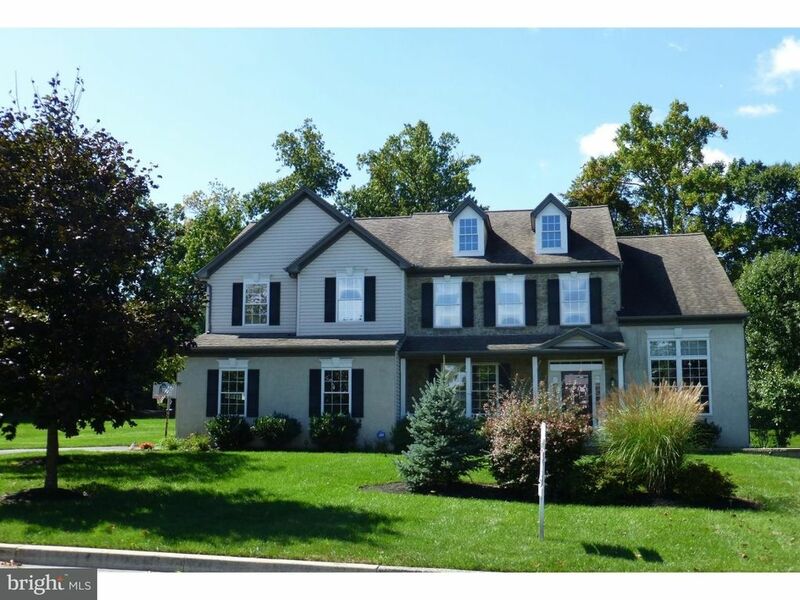 Convenient location near all schools, shopping, parks, turnpike, Struble hiking/biking trail, Marsh Creek State Park and in highly acclaimed Downingtown schools with the STEM Academy.